Shortly after the global financial crisis of 2008, many prominent market commentators were forecasting a transition to a new low return world. With hindsight, it appears that these predictions were premature, with risk assets rallying significantly from their March 2009 lows. The S&P500 has produced an annualised return of 15.1% from those lows and its price earnings ratio has more than doubled over the same period, despite anaemic global growth. However, with that “re-rating equity rally” largely behind us, it would appear that the sages of 2009 may now be more correct than they were back then, as global earnings growth looks set to align with global economic growth. As a result investors have re-calibrated their return expectations which has led to a massive focus on the value of active investment management. This scrutiny is epitomised by the discussions around global hedge fund fees, as nominal returns from global hedge funds have fallen. The challenge for active management, is an increasingly competitive landscape, leading to an ever greater reliance on market beta as the primary driver of returns. This may well also be the case for hedge funds which are focused on highly developed and competitive markets. Funds which are able to benefit from structural inefficiencies in emerging markets, do not face the same challenges, but then investors typically have to accept a trade-off of potentially higher alpha, at the expense of institutional soundness, regulatory certainty and financial market maturity. 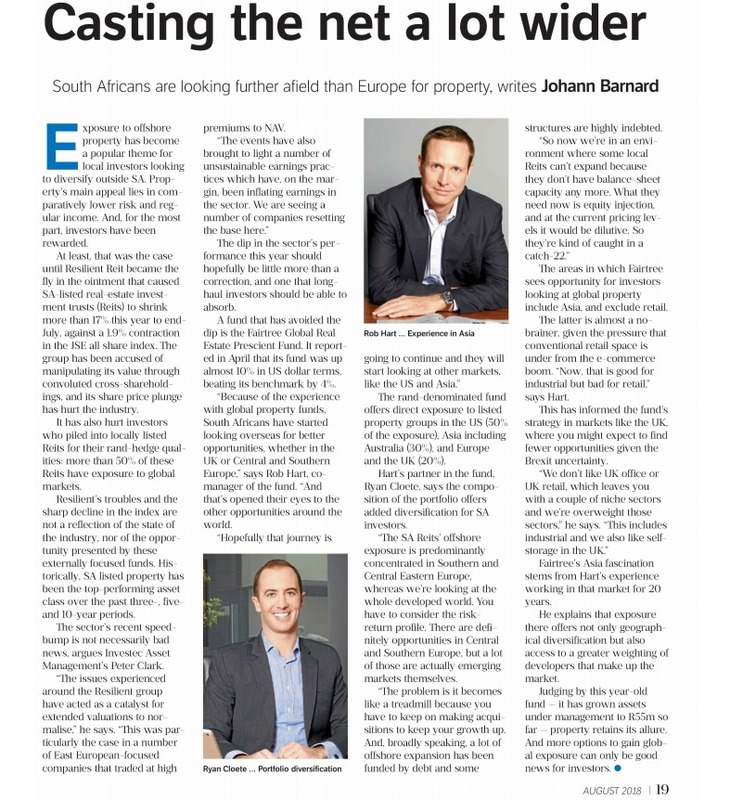 Against this backdrop South Africa presents an appealing potential investment destination. According to the World Economic Forum’s Global Competitiveness Study, South Africa ranks exceptionally high in the categories which are of most importance to a financial market investors. With regard to its institutions, South Africa ranks first globally in relation to the strength of its auditing and financial reporting standards. It ranks in the top 3 for the efficacy and accountability of corporate boards, as well as the protection of minority shareholders’ rights. From a financial markets perspective, it ranks number one and two respectively for the ability to finance through the local equity market and the regulation of the securities exchange. It also ranks in the top 12 with regards to the soundness of its banks and the financial market development. Therefore, notwithstanding South Africa’s overall ranking of 49th amongst 140 countries in the study, it ranks higher than most developed nations, including the USA in a number of the subcategories which relate to investing in listed securities. Further to this context, South African asset managers have the benefit of structural inefficiencies within the domestic savings pool. The South African stock market capitalisation is over 2.5 times the size of its GDP, as compared to the USA which has a combined stock market capitalisation of 1.5 times GDP, and most other emerging economies at well less than 1 times GDP. Interestingly, only roughly 35% of the revenue of stocks listed in South Africa is derived from the local economy, with the balance of revenues derived from a combination of global resources (25%), global developed market defensive (15%) and global consumer growth (25%) stocks. This structure means that investors in the South African market have the ability to access many global macro themes in a range of South African listed stocks trading in a very well-regulated and mature financial markets infrastructure. The question should then be asked; “are there any structural impediments which result in inefficiencies from which alpha can be sustainably derived”. The answer once again is a resounding “yes”. Of the approximately $850billion in savings assets (pension, insurance and mutual funds, according to the SA Reserve Bank), roughly 90% is managed by the seven largest institutional money managers. This leads to a degree of lethargy in the market as these large pools of capital fight portfolio inertia due to their inability to move quickly as the market environment changes. Further just under 1% of that entire asset pool is currently invested in hedge funds in South Africa, creating an environment in which flexible and nimble hedge fund managers are still able to consistently produce alpha for their investors. This story is borne out in the both the nominal returns achieved and the returns relative to the S&P500 and global hedge fund peers. According to Bloomberg, the HFRX Macro Multi Strategy Index has exhibited an annualised return of 2.38%, on volatility of 4.07% (Sharpe ratio of 0.5) with a Beta to the S&P500 of 0.21, since September 2010. Over the same period the HFRX Equity Hedge Index has produced an annualised return of 0.15%, on volatility of 6.54% (Sharpe ratio of -0.03) with a Beta of 0.45, while the S&P has produced 14.4% annualised return on volatility of 12.14%, giving it a Sharpe ratio of 1.16. Over the same period Fairtree Capital has managed a range of hedge funds in South Africa. If we were to fully hedge the currency risk to ensure that US Dollar investors have zero local currency exposure (roughly negating the interest rate differential), the returns would be substantially better than the global indices. The Fairtree Wild Fig Multi Strategy Fund would have produced the following returns in US Dollars; an annualised return of 18.5% on volatility of 14.49% (Sharpe ratio of 1.25) with Beta to the S&P500 of 0.13, which compares favourably to both the HFRX Macro Multi Strategy Index and the S&P500. 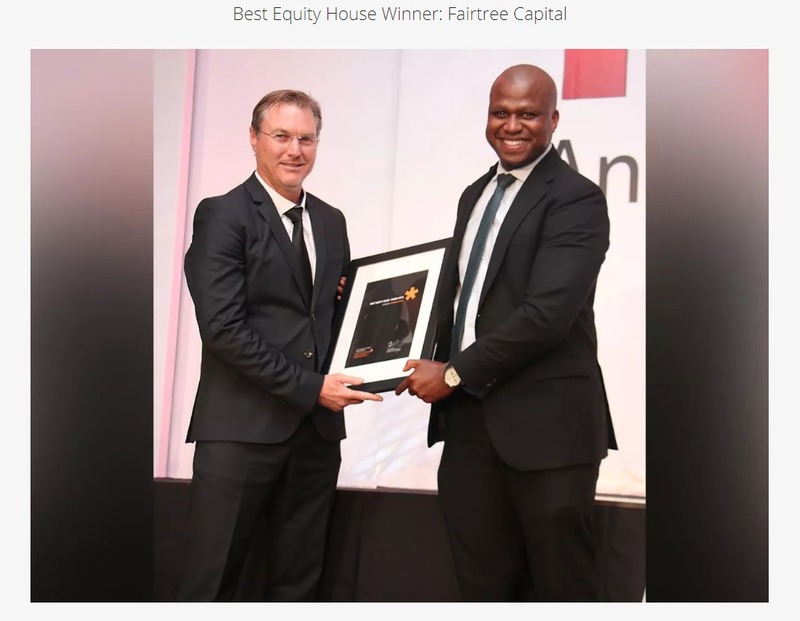 The Fairtree Protea Equity Long Short Fund would have returned 19.94% annualised, on volatility of 13.61% (Sharpe ratio of 1.44), with a Beta to the market of 0.02, which compares very favourably to the HFRX Equity Hedge Index and the S&P500. The search for elusive alpha is becoming increasingly harder, and as expected nominal returns from equity markets adjust lower, the ability to produce differentiated alpha will become more sought after. Investors’ attention on the value-add of active management and reticence to pay active fund management fees to hedge fund managers who essentially provide beta returns is understandable. Structural inefficiencies in the South African savings market create opportunities for talented hedge fund managers to sustainably extract alpha from the local market, while the market infrastructure ranks very favourably relative to developed markets. As a proxy for the South African opportunity set, Fairtree Capital has demonstrated an ability to produce attractive uncorrelated risk adjusted returns for the last decade. South Africa thus provides a unique alpha opportunity for investors who are unwilling to assume the institutional and regulatory risk associated with a typical emerging market.